The basic structure of the bipolar junction transistor (BJT) determines its operating characteristics. The BJT is constructed with three doped semiconductor regions separated by two pn junctions, as shown in the epitaxial planar structure in Figure (a). 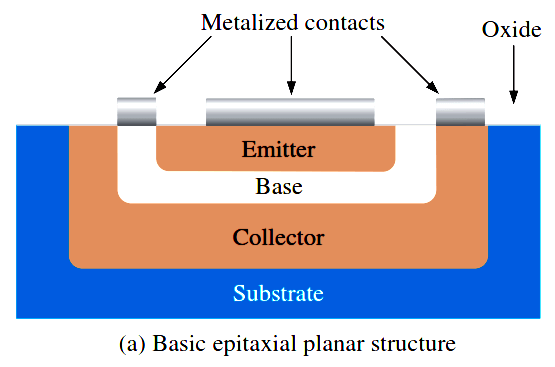 The three regions are called emitter, base, and collector. Physical representations of the two types of BJTs are shown in Figure (b) and (c). 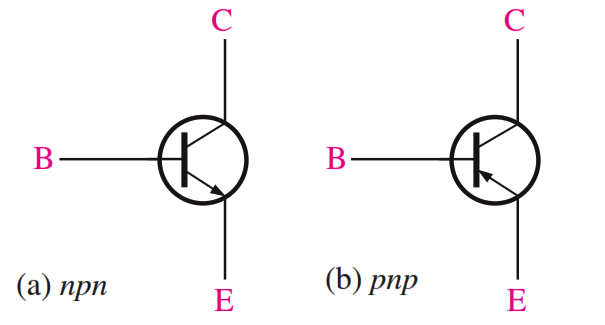 One type consists of two n regions separated by a p region (npn), and the other type consists of two p regions separated by an n region (pnp). The term bipolar refers to the use of both holes and electrons as current carriers in the transistor structure. Fig : Basic BJT construction. The pn junction joining the base region and the emitter region is called the base-emitter junction. 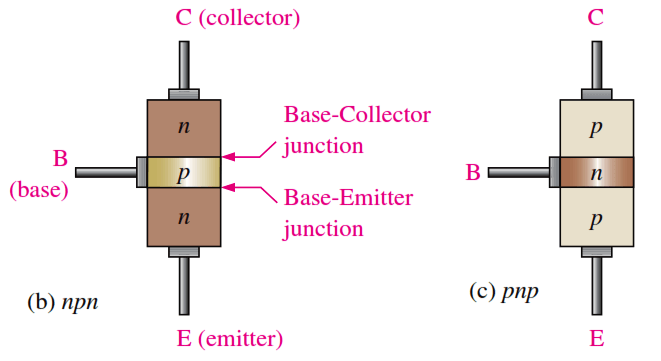 The pn junction joining the base region and the collector region is called the base-collector junction, as indicated in Above Figure (b). A wire lead connects to each of the three regions, as shown. These leads are labeled E, B, and C for emitter, base, and collector, respectively. The base region is lightly doped and very thin compared to the heavily doped emitter and the moderately doped collector regions. The Below Figure shows the schematic symbols for the npn and pnp bipolar junction transistors. What is a Filter Circuit ?